So why multifamily investing? Let’s take a look at the business model in a very simple way. As a multifamily investor, you borrow other people’s money to buy a property. You hire a property manager to manage the property. The tenants pay the debt for you, and the extra money left over goes in your pocket. Talk about leverage! You’re leveraging other people’s time, money, and resources! But this doesn’t mean you’re the only one winning in this game. When done correctly, everyone wins. The bank gets paid interest on the money they loaned you. The brokers get paid a commission on the purchase and sale of the property. The property management company gets paid to manage the property. The tenant has a nice, clean, safe, affordable place to live. The investors receive a return on their money invested in the deal. The seller gets a fair price for their property when they sell it to you. The buyer gets an efficient, income producing property when they buy it from you. It’s a win-win for everyone involved. Multifamily investing is scalable. You can start out small, say 6-10 units, and the same principals still apply for 200 unit properties. Our guest, Reed Goossens started with duplexes and now is involved in 200+ unit apartment deals. By now, you’re familiar with the syndication model. Real estate syndication is pooling funds to buy an asset. Let me ask you this: How many apartments would you buy, if you could use other people’s money to buy them with? I would want as many as possible! Now keep in mind, you can syndicate single family homes too. But imagine how much harder it would be to buy 100 houses versus a 100 unit apartment building. That’s 100 transactions versus 1 transaction. 100 roofs to maintain and repair or replace, vs. 1. You see, those economies of scale are what allow you to expand and scale up. There are many people who have gone with the single family home route though. Think back to our very first guest, Rod Khleif, in Episode 1. Rod started out buying single family homes in Denver, and bought over 1200 homes before he transitioned to multifamily deals. Rod will be the first to tell you how much work that was, and the inefficiencies involved. Warren Buffet, one of the most successful investors of all time, said he would buy up “a couple hundred thousand” single family homes if it were practical to do so. Above all else, cashflow is the most important aspect of investing in multifamily properties. A multifamily property value is determined by the Net Operating Income, or it’s cashflow. Since multifamily properties can’t be compared to each other, the NOI is a metric that determines the return of the property. Unlike single family properties, where the value is decided by comparable properties, multifamily properties can’t always be compared to one another. There are too many differences between a 24 unit Class C property and a 150 unit Class A property. Therefore, the property is valued based on it’s cashflow. As an investor, this cashflow is important. It’s your passive income. We’ve talked about the power of leverage with commercial lender turned investor, Michael Becker. Leverage is the true power of real estate investing. By intelligently using debt, you can control $4 of real estate for every $1 invested. This is the same as a 75% Loan-to-value ratio. Some people have a conservative view of debt, and don’t understand the difference between good debt and bad debt. Bad debt includes things like credit cards and vehicle loans. If you’ve read Robert Kiyosaki’s book, Rich Dad Poor Dad, which is referenced a lot throughout this podcast, you’ll recognize that the bad debt just mentioned are all liabilities, which means they take money out of your pocket every month. Assets put money in your pocket every month. Good debt is debt you’ve used to control an asset, or something that puts money in your pocket every month, like an income producing rental property, or a piece of ownership in a company. By utilizing good debt, you’re able to grow your wealth with the help of leverage. The power of partnerships is also something we’ve discussed quite a bit. Joe Fairless credits much of his success to partnering with the right people. Multifamily investing isn’t an individual sport. It takes a team of professionals to be successful. I’ve mentioned the “Power of We” several times in context to partnerships. If I don’t have any experience investing in apartments, but I partner with someone who does, then “we” now have that experience. It’s as simple as that. By partnering with someone, you’re leveraging their strengths – whether that be capital, experience, knowledge, network, etc. For me, multifamily investing checks a lot of boxes. 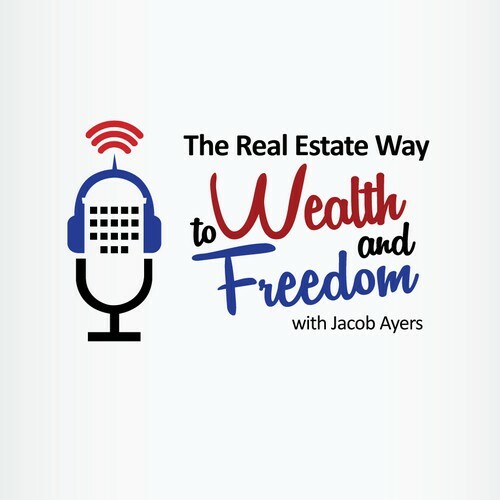 When I look at my reasons why and my goals, both of which we talk about a lot throughout this podcast, multifamily investing is the vehicle that makes the most sense. I don’t want to just become financially free. I want to build enough wealth to do massive good in the world. Things like build schools in third world countries. Help end world hunger, through organizations like Meals on Wheels. I have a soft spot in my heart for children in poverty, so anything I can do to help people like that inspires me. Two of our recent guests, Brian Robbins and Paul Moore have partnered in business due to their similar reasons why. They have coined the term “Social Entrepreneurship”. They both have done a lot to fight human trafficking and their efforts have touched many already. Things like this inspire me to achieve massive success through real estate investing. I challenge you to identify your reasons why, set goals, and come up with a plan to get you where you want to be.